Click images to view larger versions of covers. Available at local independent book sellers including Bolen Books, Munro's Books, Ivy's Bookshop, Russell Books and Tanner's Books in Sidney. 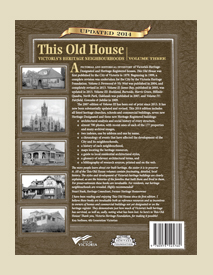 Some of these book sellers will ship copies of This Old House. 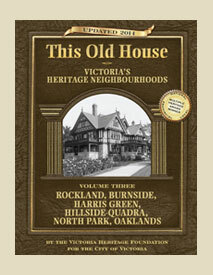 Also available at Victoria City Hall or through the Victoria Heritage Foundation.